Moving to Portugal? Then you are in the perfect place. 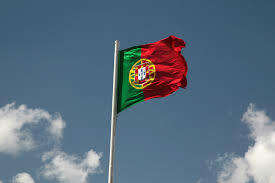 With facilities in England, Lisbon and the Algarve, we can offer twice weekly part load services to and from Portugal, along with express van services to Portugal from England and from Portugal to any European destination. We are well equipped with the right team of friendly staff and resources to meet your international relocation needs all across Europe. Please do contact us for the highest quality, professional relocation services. For its great climate, natural beauty, and exquisite cuisine, Portugal has been attracting many immigrants as an ideal place to relocate. The Portuguese Empire is known to technically have been the longest lasting, with its history extending to about 600 years. If you are planning a move to this beautiful country, be prepared to experience a welcoming and friendly culture, unique sights, and a language that has a unique and catchy beat and rhythm that will inspire you to want to learn at least a bit. European Removal Services is a company specialising in removals to Portugal and many other countries. While we concentrate our efforts in Europe, we are also able to offer international removal services to anywhere else in the world. Over 20 years of experience in the field allow us to offer you services that you can rely upon. We take great care every step of the way and our main interest lies in not only providing you an excellent service, but also giving you extra peace of mind in at least when it comes to relocating your belongings. Whether you need a container to relocate your business or home, or need assistance to move only a few boxes and baggage, we can help. Complete packing and wrapping services are available, as well as loading and unloading of vehicles. We can deliver to most European destinations in as little as 24 to 48 hours, making us the smart choice if time constraints exist. We understand that your effects are not only valuable in their own right, but may also hold sentimental value. For your peace of mind we can offer you full insurance on your goods, and quotation should you require it. Also, if you don’t already have an address for us to deliver your removal, know that we can hold your items in storage for short of long term periods.